We are pleased to announce that the full SDK for Android 4.1 is now available to developers and can be downloaded through your SDK Manager. 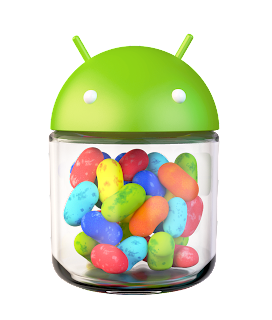 You can now develop and publish applications against API level 16 using new Jelly Bean APIs. We are also releasing SDK Tools revision 20.0.1 and NDK revision 8b containing bug fixes only. 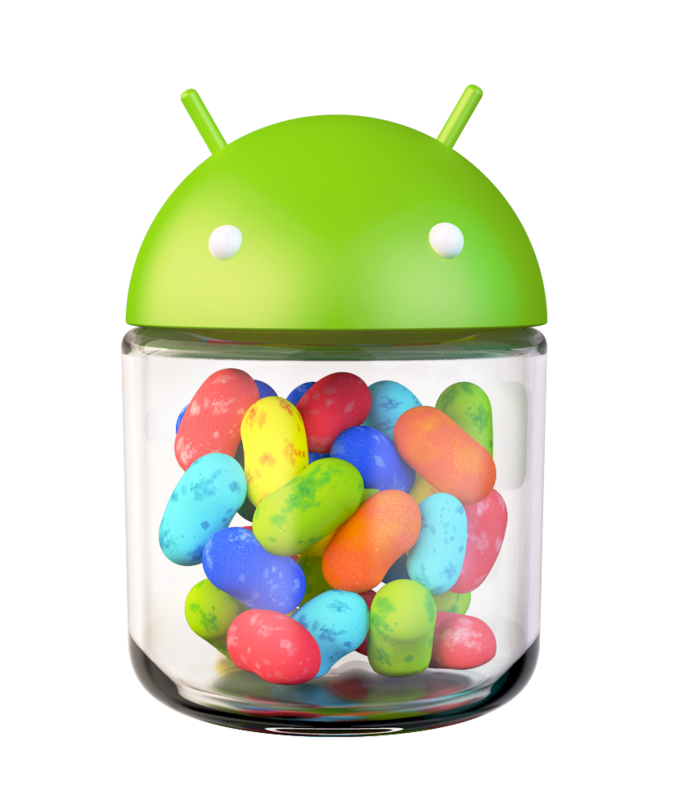 For many people, their first taste of Jelly Bean will be on the beautiful Nexus 7. 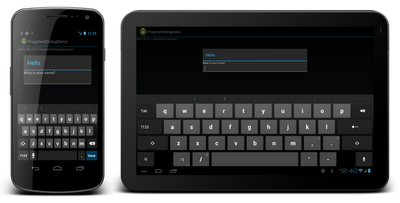 While most applications will run just fine on Nexus 7, who wants their app to be just fine? Here are some tips for optimizing your application to make the most of this device. Giving Nexus 7 its name, is the glorious 7” screen. As developers we see this as around 600 * 960 density independent pixels and a density of tvdpi. As Dianne Hackborn has elaborated, this density might be a surprise to you but don’t panic! We actively discourage you from rushing out and creating new assets at this density; Android will scale your existing assets for you. In fact the entire Jelly Bean OS contains only a single tvdpi asset, the remainder are scaled down from hdpi assets. Make sure that any stretchable regions are at least 2x2 pixels in size, else they risk disappearing when scaled down. Give one pixel of extra safe space in the graphics before and after stretchable regions else interpolation during scaling may cause the color at the boundaries to change. The sw600dp qualifier declares that these resources are for devices that have a screen with at least 600dp available on its smallest side. 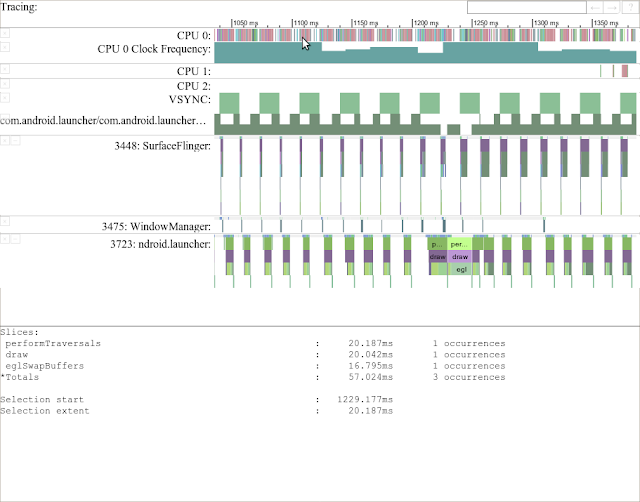 This technique allows a single application to use defined switching points to respond to a device’s configuration and present an optimized layout of your content. For more details follow Reto Meier’s Five Steps to Hardware Happiness. 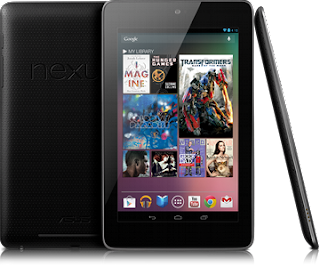 Nexus 7 ships with Jelly Bean and its updated suite of system apps are built to take advantage of new Jelly Bean APIs. These apps are the standard against which your application will be judged — make sure that you’re keeping up! If your application shows notifications then consider utilizing the new richer notification styles. If you are displaying immersive content then control the appearance of the system UI. If you are still using the options menu then move to the Action Bar pattern. A lot of work has gone into making Jelly Bean buttery smooth; make sure your app is as well. If you haven’t yet opted in to hardware accelerated rendering then now is the time to implement and test this. For more information on Android 4.1 visit the Android Developers site or join us Live. With most of the Android Developer Relations team now fully recovered from Google I/O 2012, I'm happy to announce that all of the videos for the Google I/O 2012 Android Sessions are now available! I've included in the Google I/O 12 - The Android Sessions playlist (embedded below), as well as (in keeping with our newly redesigned developer site) in playlists for each developer category: Design, develop, and distribute. Google I/O is always a highlight on the Android Developer Relations team's calendar; it's our best opportunity to talk directly to the Android developer community. Unfortunately I/O only happens once a year, and only a lucky few thousand can join us in person. That's why we've been exploring more scalable approaches to interacting with developers, and with the launch of Google Developers Live, we have a way for the entire Android Developer community to view and participate in live, interactive developer-focused broadcasts all year round, and all across the world. This week we resume our weekly interactive development Q&A Office Hours in three time zones (US, EMEA, and APAC). We know many of you have questions related to specific I/O sessions, so we've invited all the speakers to join us, starting with this Wednesday's Android Developer Office Hours with Chet Haase, Romain Guy, Xavier Ducrohet, and Tor Norbye from the What's New in Jelly Bean and What's new in Android Developer Tools sessions. On Friday afternoons we broadcast The Friday Review of Apps and The Friday Review of Games, two more relaxed sessions where we review self-nominated apps and games, providing feedback to the developers in the hope of discovering some feature-worthy gems. Every Android Developer Live broadcast is recorded and available from Google Developers Live, the Android Developers YouTube channel, and directly from developer.android.com. We've also begun to make each of the Office Hours, as well as the Android sessions from Google I/O 2012, available as part of the Android Developers Live audio podcast. We're really excited to use Google Developers Live to interact more regularly with you, the most important members of the Android ecosystem, and will be looking to expand our lineup to include regular interviews with app developers and Android engineers. Got great ideas for how we can expand our live program? Let us know on Google+. 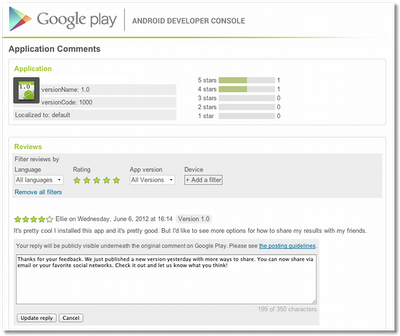 We’ll also notify the user who wrote the review via email that the developer has responded. Users can then contact the developer directly if additional followup is needed or update their review. We’re releasing this feature today to those with a Top Developer badge ( ). And based on feedback from users and developers, we will offer it to additional Google Play developers in the future. Honeycomb introduced Fragments to support reusing portions of UI and logic across multiple activities in an app. In parallel, the showDialog / dismissDialog methods in Activity are being deprecated in favor of DialogFragments. In this post, I’ll show how to use DialogFragments with the v4 support library (for backward compatibility on pre-Honeycomb devices) to show a simple edit dialog and return a result to the calling Activity using an interface. For design guidelines around Dialogs, see the Android Design site. Here’s the layout for the dialog in a file named fragment_edit_name.xml. Note the use of two optional attributes. In conjunction with android:inputType=”text”, android:imeOptions=”actionDone” configures the soft keyboard to show a Done key in place of the Enter key. The dialog extends DialogFragment, and since we want backward compatibility, we’ll import it from the v4 support library. 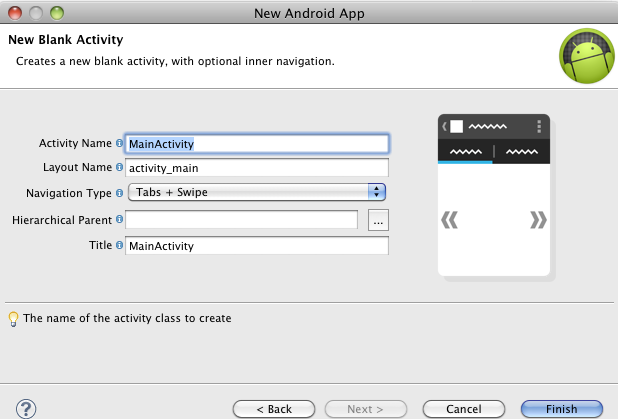 (To add the support library to an Eclipse project, right-click on the project and choose Android Tools | Add Support Library...). The dialog extends DialogFragment and includes the required empty constructor. 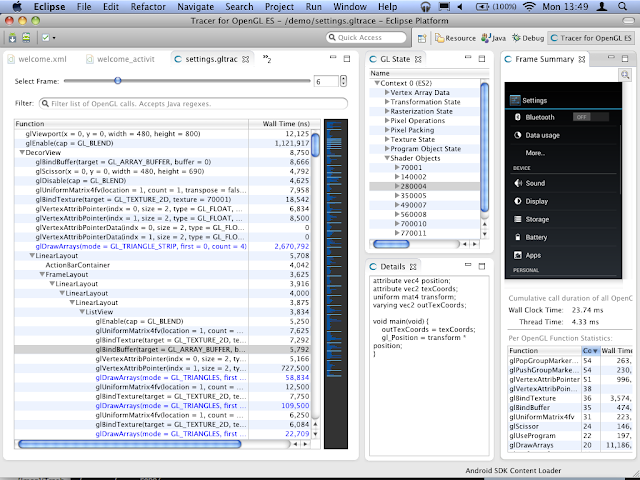 Fragments implement the onCreateView() method to actually load the view using the provided LayoutInflater. Now we need some code in our Activity to show the dialog. Here is a simple example that immediately shows the EditNameDialog to enter the user’s name. On completion, it shows a Toast with the entered text. There are a few things to notice here. First, because we’re using the support library for backward compatibility with the Fragment API, our Activity extends FragmentActivity from the support library. Because we’re using the support library, we call getSupportFragmentManager() instead of getFragmentManager(). After loading the initial view, the activity immediately shows the EditNameDialog by calling its show() method. This allows the DialogFragment to ensure that what is happening with the Dialog and Fragment states remains consistent. By default, the back button will dismiss the dialog without any additional code. Next, let’s enhance EditNameDialog so it can return a result string to the Activity. For user convenience, we programmatically focus on the EditText with mEditText.requestFocus(). Alternatively, we could have used the <requestFocus/> tag in the layout XML to do this; however, in some cases it’s preferable to request focus programmatically. For example, an OnFocusChangeListener added in the Fragment’s onCreateView() method won’t get called if you request focus in the layout XML. The onEditorAction() method handles the callback when the user presses the Done key. It gets invoked because we’ve set an OnEditorActionListener on the EditText. It calls back to the Activity to send the entered text. To do this, EditNameDialog declares an interface EditNameDialogListener that is implemented by the Activity. This enables the dialog to be reused by many Activities. To invoke the callback method onFinishEditDialog(), it obtains a reference to the Activity which launched the dialog by calling getActivity(), which all Fragments provide, and then casts it to the interface type. In MVC architecture, this is a common pattern for allowing a view to communicate with a controller. We can dismiss the dialog one of two ways. Here we are calling dismiss() within the Dialog class itself. It could also be called from the Activity like the show() method. Hopefully this sheds some more light on Fragments as they relate to Dialogs. You can find the sample code in this blog post on Google Code.